Rescuing a dog is a lot like starting any other relationship – compatibility is key! Be honest with yourself and you’ll find the perfect match. So you know you can offer a loving home to a rescue dog. Now you just have to find one! Our “Plan Your Rescue” page talked about the importance of exercise and having the right environment for your dog to thrive in. Size – you might adore giant Newfoundlands and Berness Mountain Dogs, but if you only have a small house and garden you’ll end up cramped in together int a confined area that’s far from ideal. Your physical strength – larger dogs can be very strong on the lead and, if they haven’t been obedience trained in the past, may well take you for a walk rather than the other way round! Planned Activities – if you are planning to go to a dog agility club or have long countryside mooches you’ll want a different type of dog than if you are looking for a quieter family pet. Your family – Does the dog need to fit in with young children or other pets? Do you have lots of visitors? 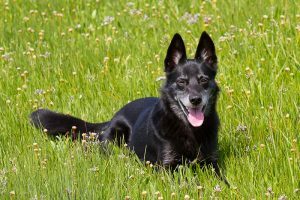 Energy and Temperament – Can you handle the tireless energy of a working breed like collies or the boisterous nature of many labs? Would you be confident with a challenging dominant dog or would you prefer a laid back greyhound or lazy lap dog? Coat length – long-coated dogs shed a lot of hair and need plenty of grooming, not to mention you will need to be a dab hand at hoovering! Its easy to be carried away by that vision of a cute retriever puppy playing with you. But puppies need a big commitment in time, patience and effort. They need house training, socialising and behaviour training and can’t be left alone for very long periods. Okay, so adult dogs don’t always have that cute factor but they can be the most affectionate and rewarding companions you can find. They’re usually house trained, are often less boisterous. Many adapt well if you are out of the house regularly and don’t have the time or patience to train a young dog. You will have formed an idea of the sort of size, type and temperament of dog that you are looking for. Try if possible to keep an open mind about the exact breed of dog you want and whether it has to be pure bred – the more flexible you are, the higher your chances of finding the right rescue dog for you. Pedigrees don’t guarantee any dog’s health or temperament, and cross breeds and mongrels can be every bit as healthy loving and loyal. So keep an eye out for that affectionate mongrel with the soft eyes, or quirky terrier mix that might make your perfect pal. All dogs will display signs of frustration in a cage, barking, jumping pacing etc. but keep an eye out for any behaviour that might indicate any temperament issues, eg obsessive behaviour or excessive aggression or fearfulness unless you are an experienced dog handler and comfortable in taking on a dog with these issues. Try to take someone with you who can stay less emotionally involved and offer advice on pros and cons of the dogs you are visiting. Whatever you do, don’t pick a dog just because he’s adorably cute without being happy with his/her behaviour, character and energy! How does he/she interact with other dogs, wardens, and react to other visitors?